FrostRunner is a first-person platformer from Think Arcade. 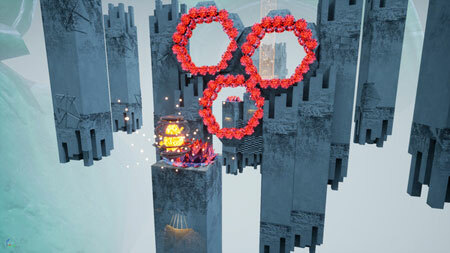 You are tasked with rapidly completing platforming challenges before the timer runs out. Using their tether tool, you compete to finish each of the 36 unique levels as quickly as possible and earn a place at the top of the leaderboards. The game is set in a desolate, frozen environment seemingly abandoned by all life. Scattered throughout the icy landscape are mysterious energy crystals emanating a strange power. Try your best to finish all the levels and unlock challenge levels. If you get stuck in the game, check out the video walkthrough and gameplay for the game. This entry was posted in PC Games, Walkthrough and tagged FrostRunner Cheats, FrostRunner Gameplay, FrostRunner Guide, FrostRunner Strategy, FrostRunner Walkthrough by Marvin. Bookmark the permalink.